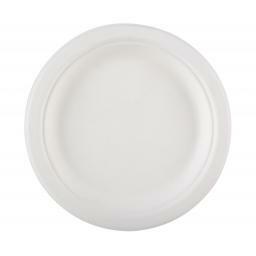 9’’ 'Bagasse' (Sugarcane Pulp) round biodegradable plates. 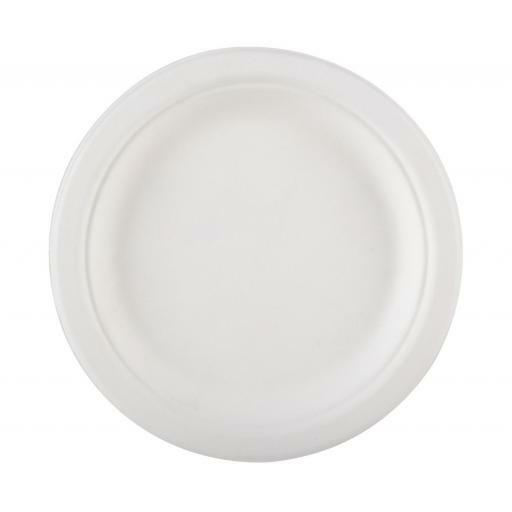 Plates are Compostable and Biodegradable, manufactured from the waste fibre left after sugarcane has been pressed for juice. Bagasse products perform better than paper or EPS (Foam/Styrofoam) products.